Setting up shipping is compulsory when you sell physical goods. With WooCommerce it’s only a matter of a few steps. Shipping rates and shipping methods differ with different locations, but all you have to do here is simply add your shipping data, location and you are ready to go. Here is the screenshot of the opening page. Here you can give the units for weight and dimensions. 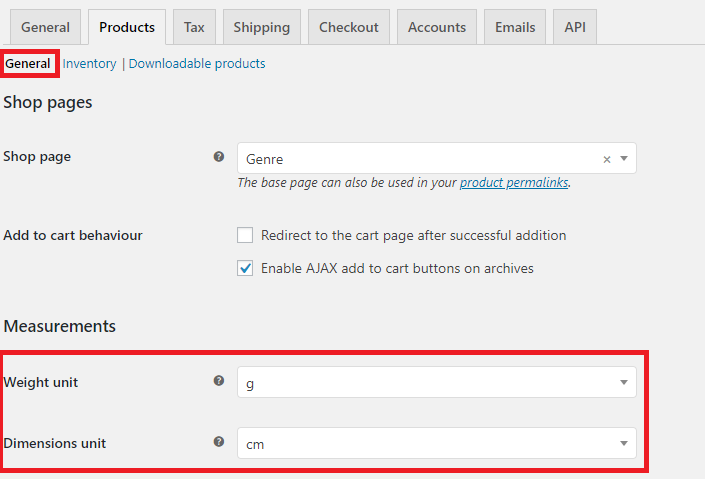 Now, these units become the default when you set up shipping option for a product. Now click on the Shipping tab. Now you will be taken to the page shipping zones. Now click Add shipping zone. The screenshot of the opening page is given below. 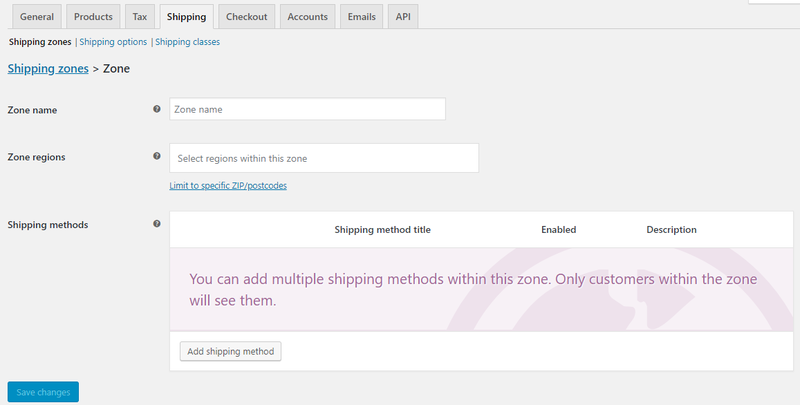 On the opening page, you provide details regarding shipping zones ie; a geographical location where you provide certain shipping methods. 1. Zone name – The name of the zone for your reference. 2. Zone regions – Regions inside these zones, customers will be matched against these regions. 3. Shipping methods – You can offer different shipping methods for each zone. Click on Shipping options. 1. 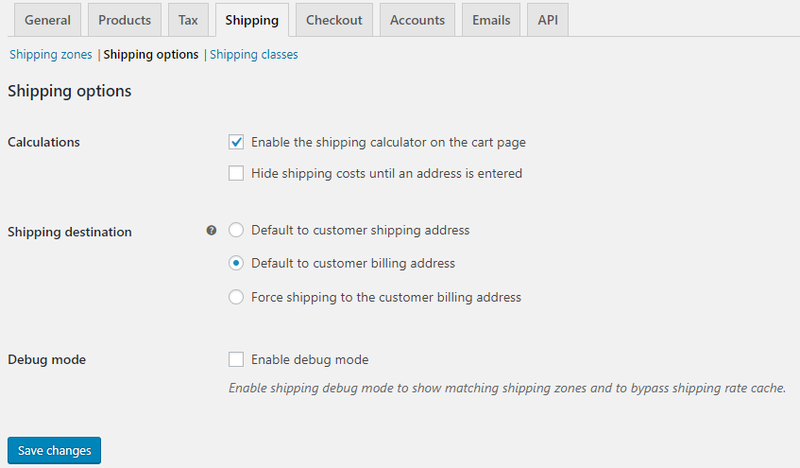 Calculations- to enable shipping calculations on the cart page and to hide shipping costs until an address is entered, which you can choose as you wish. 2. Shipping destinations – to choose from customer billing address/shipping address/force shipping to customer billing address. 3. Debug mode- to enable or disable debug mode ie; if you are having problems with proper rates or shipping options tick the checkbox in order to enable debug mode so you can trace the errors. Up next comes shipping class, where you can add a new shipping class by clicking on the Add shipping class button. Click Save shipping classes. Now the shipping class/es you entered will be available in the drop-down menu of the shipping class. Now, fill in the fields of dimensions with appropriate value and select a shipping class from the drop-down. For virtual products, the shipping option will be absent.